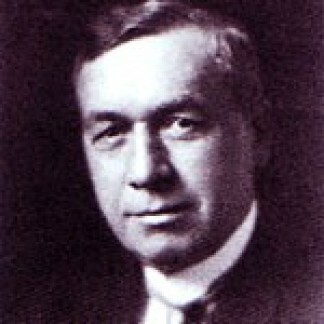 In January 1928, George Judson, President of the Bank of Detroit announced plans to expand operations into the growing uptown area and contracted with famed Detroit architect Louis Kamper (1861-1953) to design a one million dollar new structure on West Grand Boulevard directly adjacent to the General Motors building and just east of the under construction new Fisher Building. 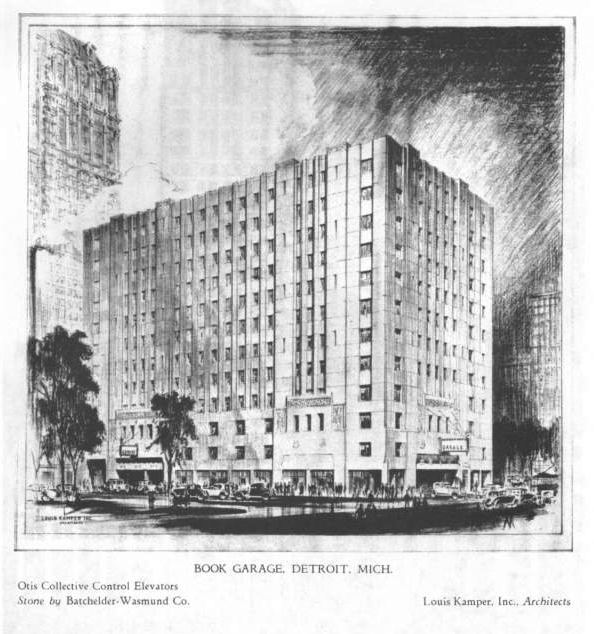 Known as the Boulevard branch, Kamper designed a four story expansive structure of granite and white marble. 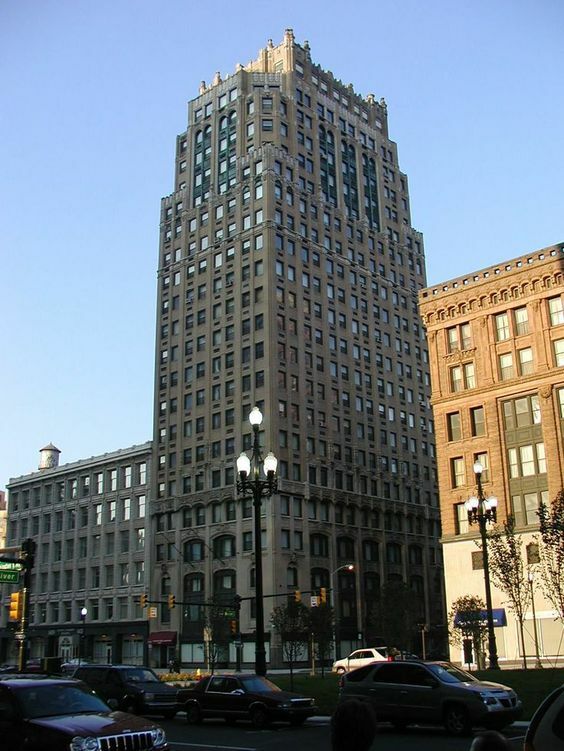 Construction began in late January and was completed in early July with a foundation capable of handling another eight stories if later needed. 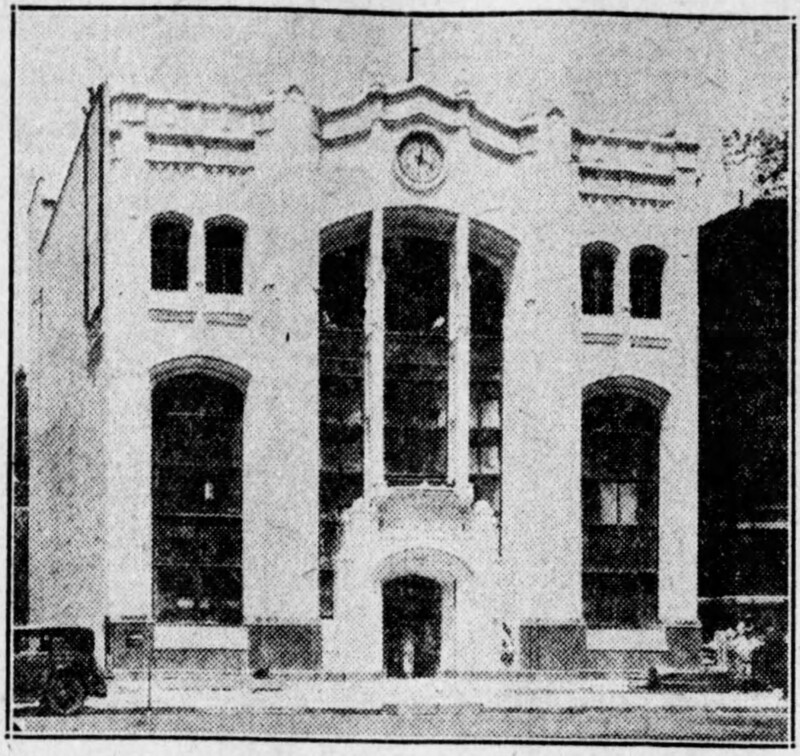 Kamper designed the entryway to include windowing three and a half stories tall. Newly invented floodlights were incorporated into the design based on Kamper’s research of German techniques and were used to illuminate the interesting exterior features during the night hours. 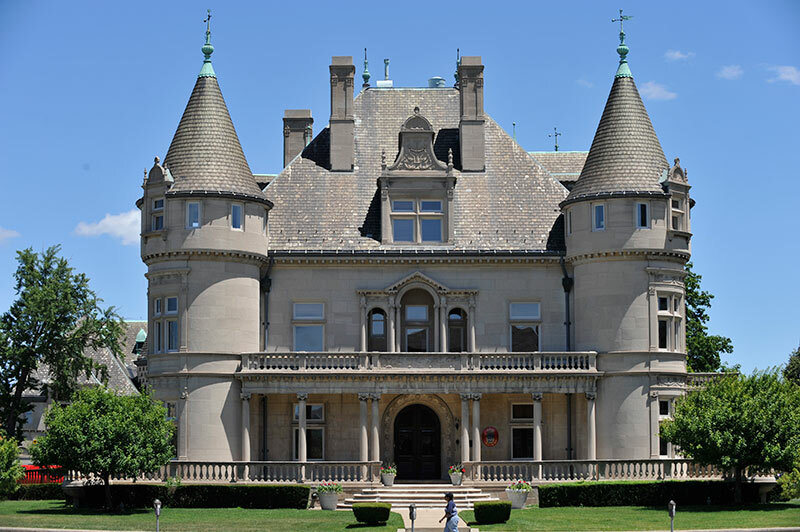 The modern gothic style utilized by Kamper was adjusted to emphasize the business needs of the financial industry. 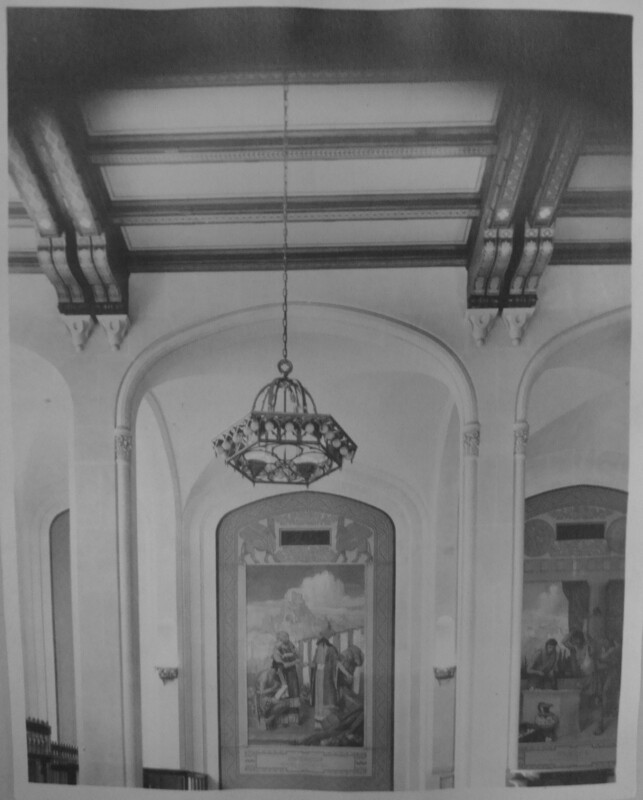 The main lobby structure’s interior ceiling height was more than thirty-two feet and included a mezzanine and balcony level housing the clerical staff of the bank; a fourth floor was reserved for planned expansions. Newly invented recessed lighting shone light upon the ceiling creating a natural daytime lighting effect in the massive interior lobby assisted by a large sunken well built into the ceiling that contained huge fixtures whereby light rays would bounce through a prism helping to create the natural lighting effect indoors. 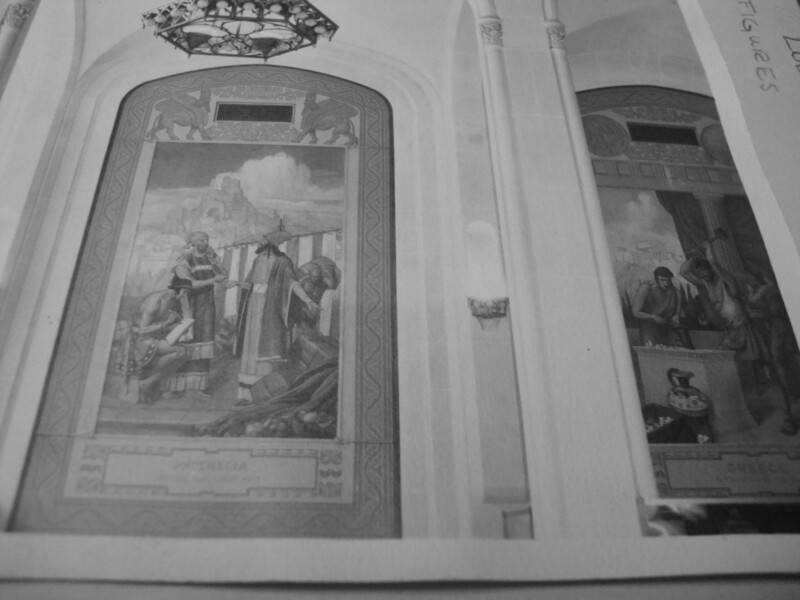 All of these lighting concerns would also help illuminate six massive historical murals painted by Grell. 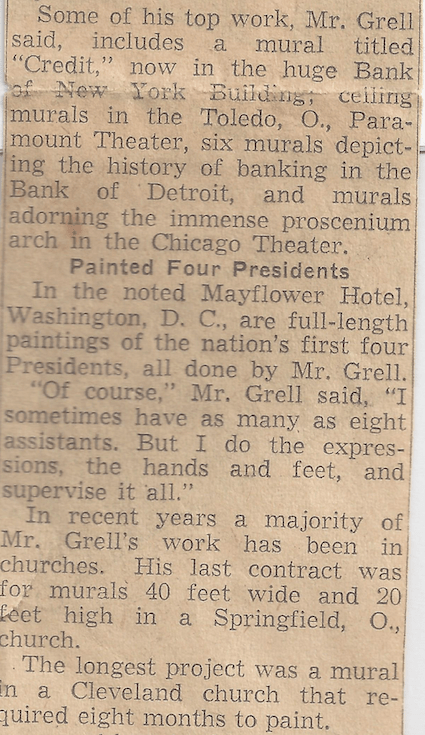 During the period of the mid to late1920’s, Grell apparently received several mural commissions from his friend and fellow Tree Studios resident artist George Hamilton Thomas. 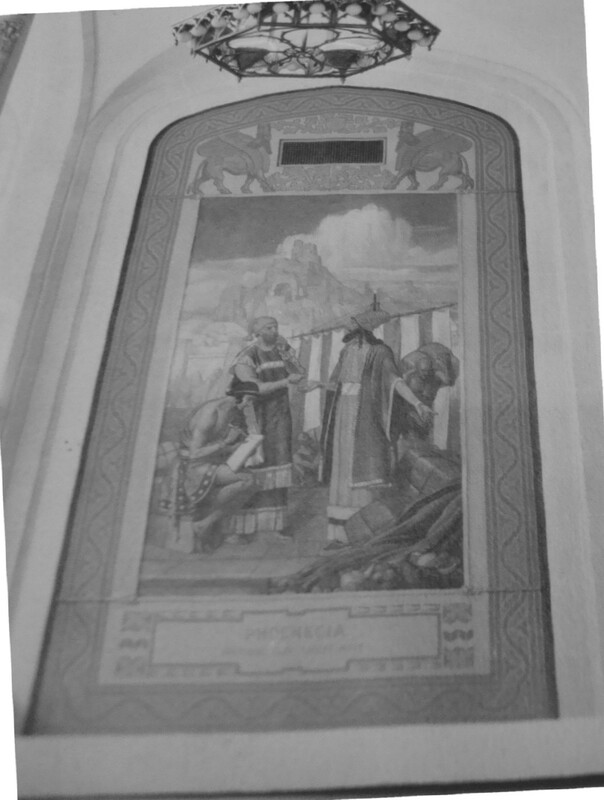 Grell claims he painted the murals inside the Water Board Building (Detroit; 1928), the Hotel LaFontaine (Huntington, IN; 1925), the Bank of Detroit (1928) and possibly others, all through the George Hamilton Thomas Studios. A local radio station broadcasting live from the bank lobby enticing customers drew larger then expected crowds causing the bank to extend its already long opening day hours. 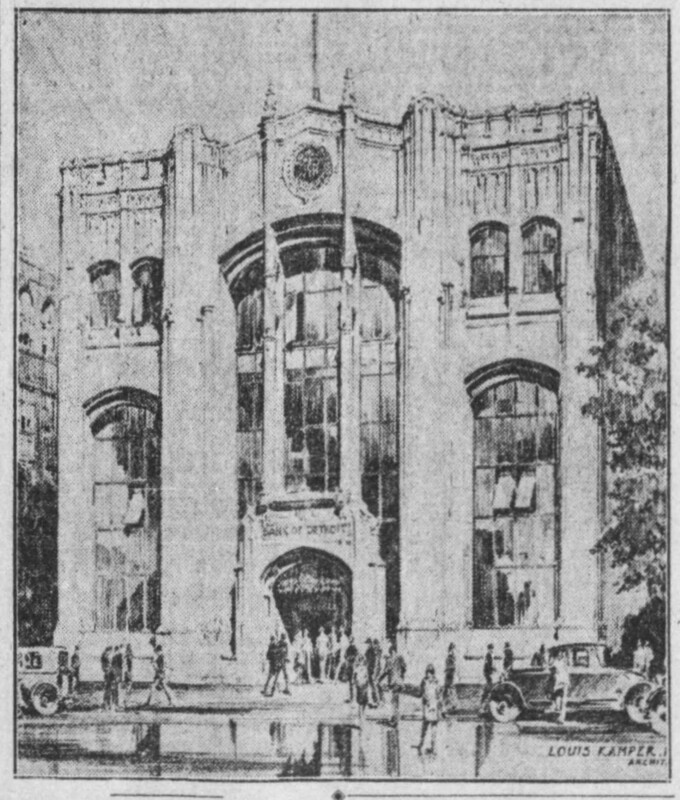 A record number of deposits were made; fifteen months after this grand opening celebration the stock market crashed forcing many banks to close.